Dubai. How would you describe Dubai to someone who hasn’t been there? It’s a challenge! It is actually different from any other city I have ever been to, I can’t compare it to any place. It’s magnificent, sparkly, multicultural, ostentatious…a strange mix between Las Vegas and Gotham City maybe. It’s one of that cities you should definitely visit at least once in your life, because in no other place in the world you would see things like artificial snow, lush gardens in the middle of the desert, fake islands in the sea and underground restaurants. 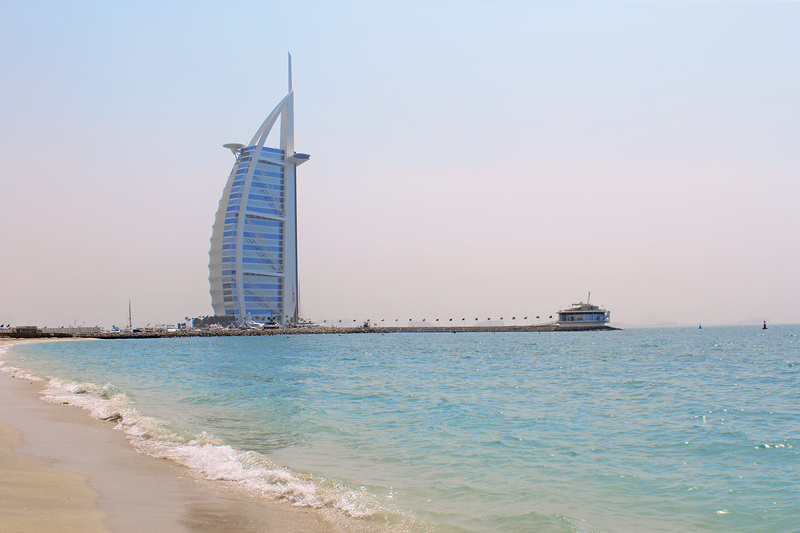 If you’re planning to visit Dubai and you have a short amount of time, then you should check my list of the things you can not miss during your vacation. 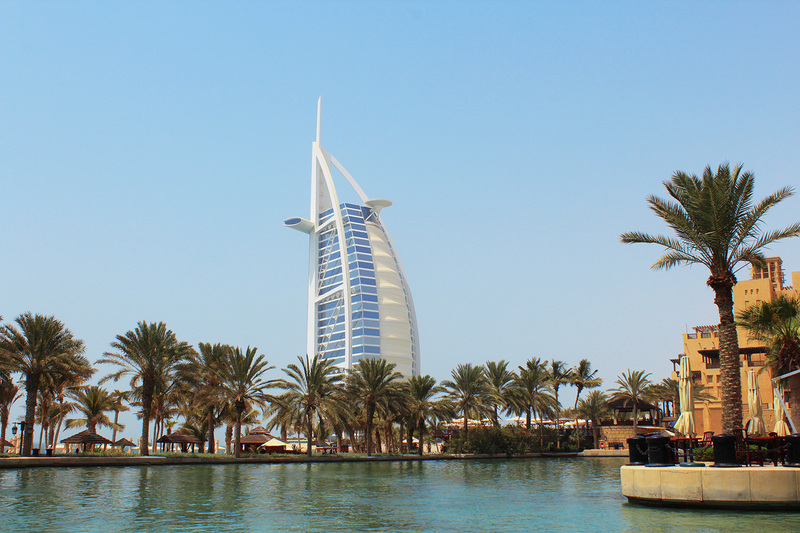 The Burj Al Arab is certainly the most iconic building in Dubai. 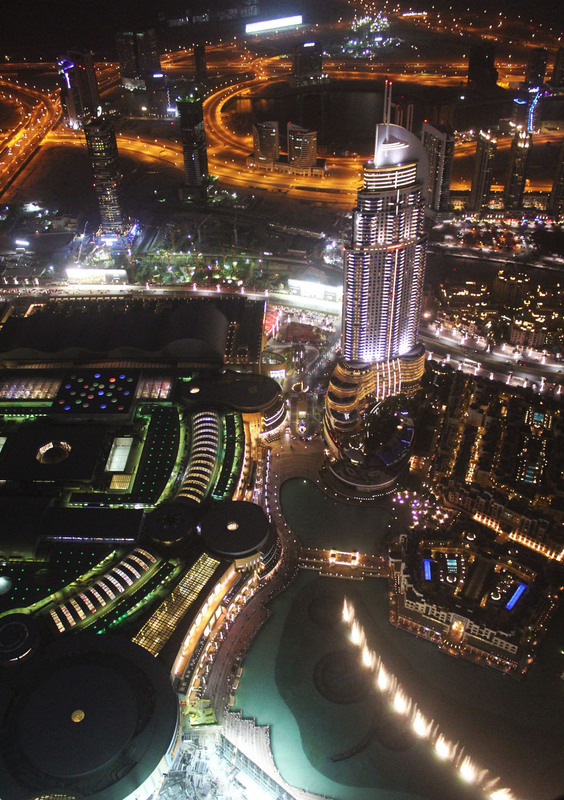 Soaring to a height of 321 meters, the Burj is designed to resemble a billowing sail. There are various viewpoints from which you can take photos but in my opinion the best is from the public beach next to it. By the way, you can’t just walk into the Burj off the street, you have to book a dinner or at least an afternoon tea in advance! This building is one of the most photographed structures in the world, and it is also considered the most luxurious hotel in the world. That’s basically what Dubai is about: the most, the biggest and the best. 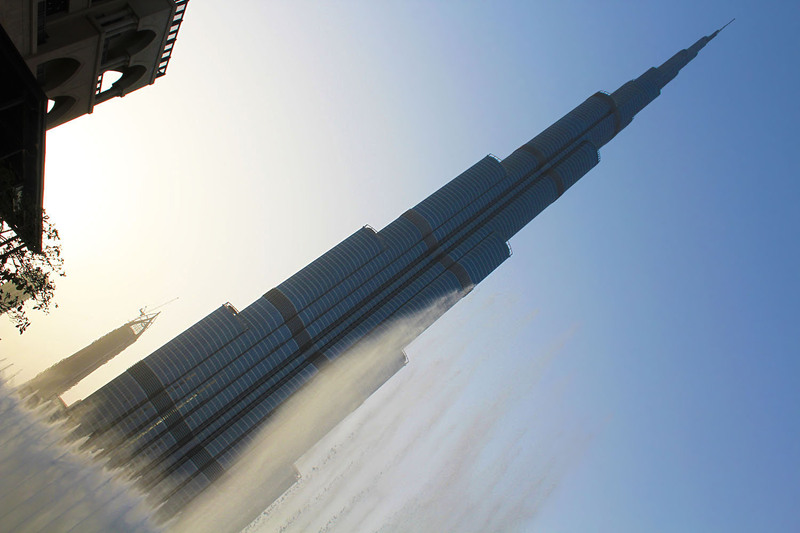 The Burj Khalifa is the tallest man-made structure in the world, standing at 829.8 m (2,722 ft). It was designed to be the centerpiece of a large-scale development that includes 30,000 homes, 9 hotels, 3 hectares of parkland, at least 19 residential towers, the Dubai Mall, and the 12-hectare man-made Burj Khalifa Lake. 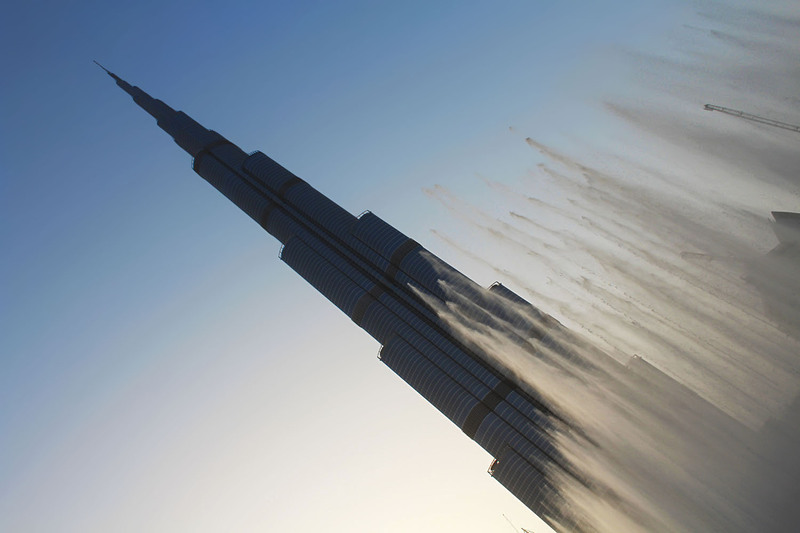 At the base of Burj Khalifa you can see the lake of the famous fountain show. If you’ve been to Vegas, maybe you have seen the Belaggio fountain show already. Well, Dubai does it taller, bigger and louder (as always). The Burj Khalifa has reclaimed the record for the world’s highest observation deck with the unveiling of a new viewing level on the 148th floor which offers stunning views of the city. The thing is, Dubai is a city full of incredibly sparkling and tall buildings, but they are really small in comparison to the Burj Khalifa. Therefore, when you’re at the top of this giant building, you fell like you’re watching the city from an airplane window. I’m definitely obsessed with cityscapes, so believe me when I say this one is breath-taking. The best time to go is during sunset, but I suggest staying a little longer so that you can see the city lights and the last fountain show of the day. 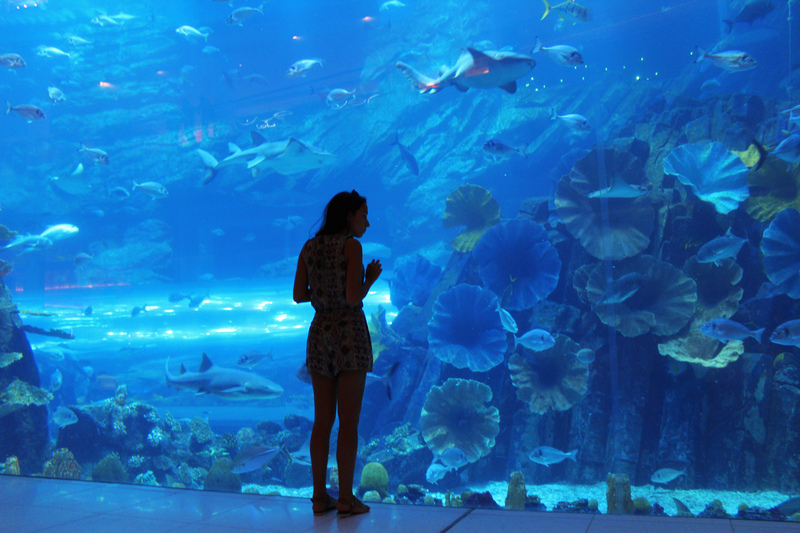 The Dubai Aquarium is a large attraction at the centre of the Dubai Mall. It comprises a large aquarium tank measuring 51 meters long, 20 meters deep and 11 meters high plus an underwater zoo with a variety of marine species in various habitats. A highlight here is a darkened cave where you can go nose-to-nose with dozens of toothy sharks. If that’s not close enough, you can join a dive instructor on a shark dive. Don’t worry: all sharks are kept on a closely monitored feeding schedule to keep their predatory behavior in check! 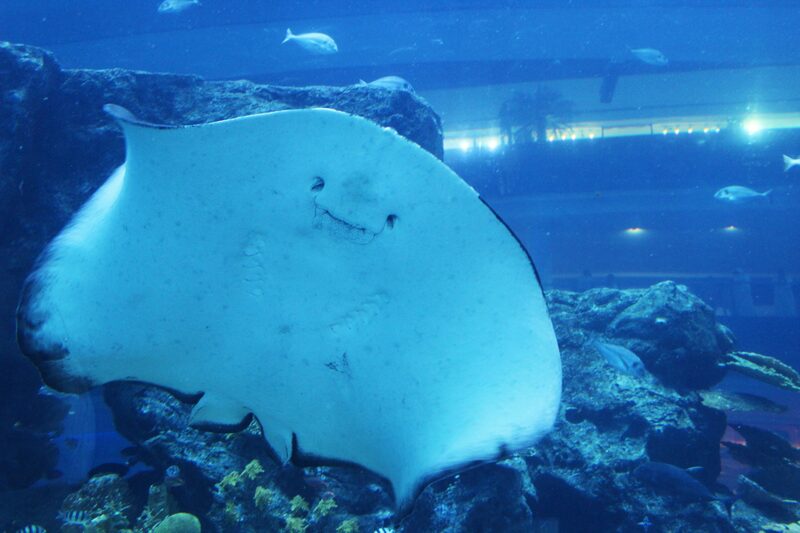 Sting rays are pretty cool too, they’re very friendly and really funny. They’re like little floaty birds with cute smiley faces! Can you really expect to see a lake in the middle of the desert or would it be mistaken for a mirage? Well, in Dubai, anything is possible! 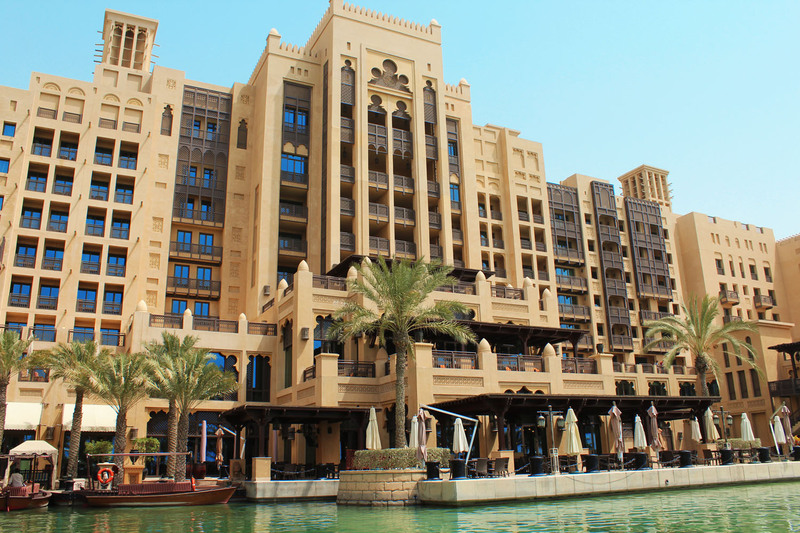 So yes, a full-blown man-made lake is possible and exists in the middle of the luxurious Al Madinat Jumeirah . This resort is basically a little Venice in itself and visitors can even get around on the lake via ‘abra’ (wooden motor boat). 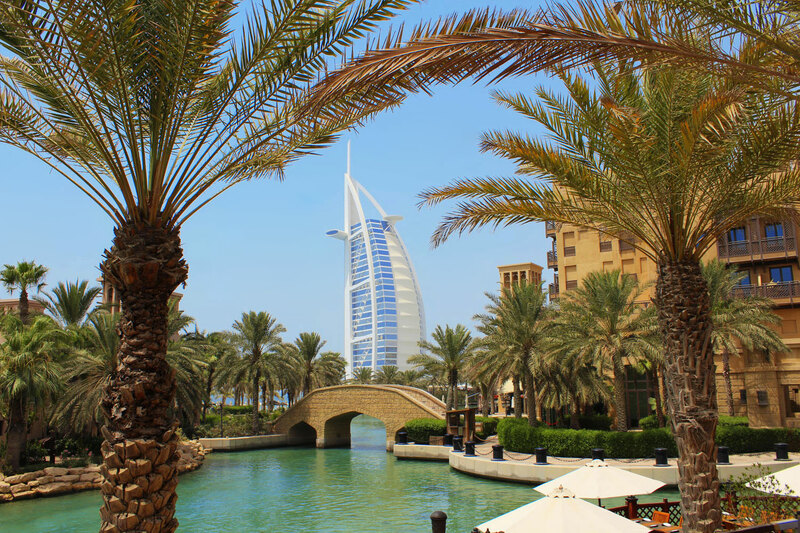 Madinat Jumeirah contains two luxury boutique hotels, 29 summer houses, landscaped gardens with palms, 40 restaurants/bars, a theater, an exhibition hall, stores, bridges and a souk (Arabian market) that occupies a large part of the complex. It’s really nice! So, have you ever seen Dubai? 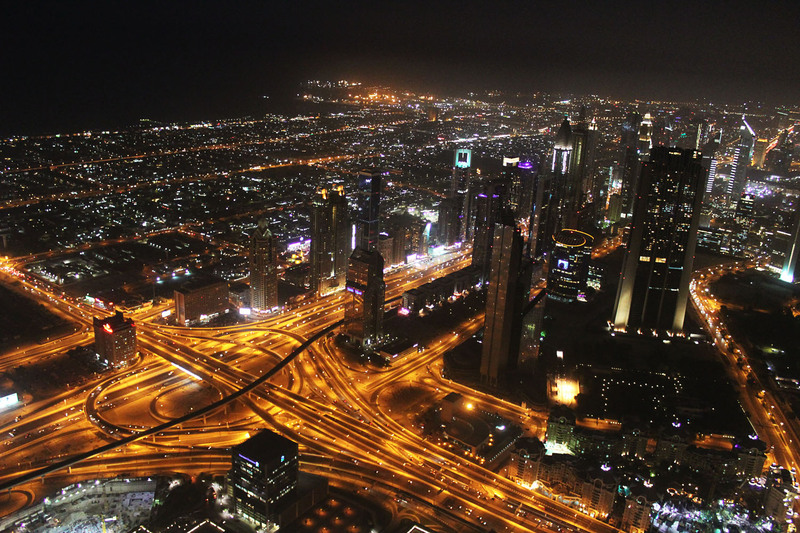 What are, in your opinion, the Top 5 things to See and Do in Dubai?